Our trendy Super Trooper Abba ladies fancy dress costume will have you looking like the most fashionable of disco divas! 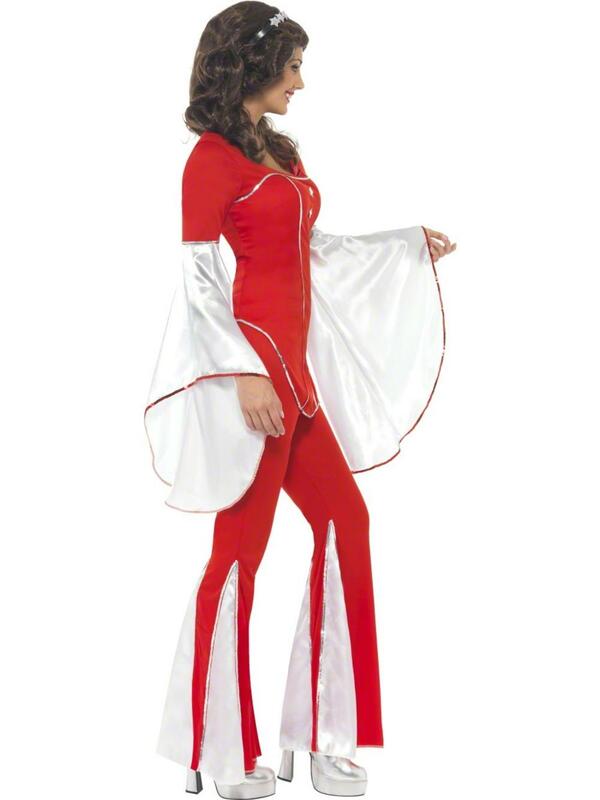 This 1970s themed costume is reminiscent of the days of ABBA and you could become your party's own Swedish sensation for the evening! The vibrant red top immediately gives this outfit a standout look, but the stunning silver effects such as the bell sleeves, silver stars and sequins on the top add some further shine and glamour. 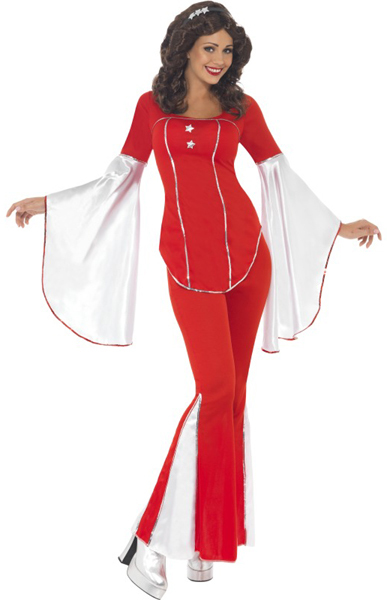 Not only that, but the elasticated red and white flared trousers help to add to this retro singer look. The transformation is complete with a headband topped off with silver stars. 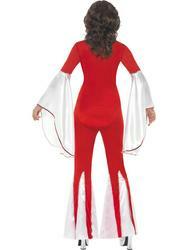 Perfect for 70s, Disco or Abba themed fancy dress parties.